The fairy tale that wasn’t. At least it looks like a bird! Well, well, I’ve been busy editing, trying to write a (interesting) fairy tale (here is a helpful, little primer on fairy tales, folklore, etc. ), and just living, including a good deal of Nightingale-ing. Now that the kids aren’t sick and the husband is healing, of course it strikes me. Today, I’m digging out of the aftermath. In any case, doing these market/submission articles really gets me jazzed, and I haven’t done one in at least a couple weeks. So, in other words, you’re due. Hope you find something fruitful here! Due April 1. You’ve got dreams. I’ve got dreams. We’ve all got dreams. Why not put them down on paper and submit them to Bop Dead City? For their current issue (Issue #15) contest, they choose one poem and one fiction piece (otherwise, one genre takes it all). The Issue 15 contest is themed “dreams”; regular submissions guidelines here. Due April 1: No joke! The annual Wergle Flomp Humor Poetry competition is open to writers of poetry in English, with a maximum of 250 lines (1 poem only) sought. But with this contest, the object is to write badly. Very, very badly. The art is in writing so badly, it crosses over into good-writing terrain. Can you do it? Like to try? Check out Winning Writers for all the specifics on this free-to-enter contest that promises big prizes for the best “worst poem” you can craft. Due officially April 15 (but actually June 30): Staying in the humor-writing vein, let’s move over to the Bulwer-Lytton Fiction Contest (BLFC) for superior shoddy sentence–writing, not to be confused with the Lyttle Lytton annual contest. Here, your mission, if you choose to accept the challenge, is to pen the very worst opening line to a novel ever conceived—and there are genre categories, too, including romance, science fiction, crime/detective, and historical fiction. Bad for poor Edward Bulwer-Lytton; but good for us. More details here. April 15, Austin, Texas, 5:30-9:30 p.m. If you’re fond of small presses, visionary writing, poetry, or some combination of the aforementioned (and will be in Austin, Tx., in April), get yourself over to Malvern Books for the Tupelo 30/30 project Poetry Night. It will feature WP staple poet Robert Okaji, as well as several other T30/30 poets: Christine Beck, Katy Chrisler, D.G. Geis, Pamela Paek, and Ronnie K. Stephens. Opening May 15, 2016 (closing August 15): Enchanted Conversation, a fairy tale magazine, has its eyes peeled for your best stories about Krampus, the dark alternative to Santa Claus, for its Krampusnacht Two anthology, to be published in conjunction with World Weaver Press. Kate Wolford is the editor. They are looking for fiction submissions from 1,000 to 9,999 words. You will greatly benefit from reading their first anthology on this topic, Krampusnacht: Twelve Nights of Krampus, and following the newest anthology guidelines to the letter. Good luck! A sixth-grader wrote this flash-fiction story and it was published online by SmokeLong Quarterly. Wow! SLQ, a leader in the flash fiction genre, publishes only flash (no poetry or nonfiction) of under 1000 words—one submission at a time, please!—and you must include a print-ready third-person biography. Give them a whirl if you enjoy flash(ing) your fiction! And, in the meantime . . . enjoy your Easter/spring (or autumn) weekend! Happy writing and art-making! It’s that time again. Approximately every fortnight, a catchall market-conference-author appearance-publishapalooza listing, this one somewhat abbreviated as I’m working on a fiction piece under deadline (wish me luck). Hope you all will find something beneficial in this partly fantasy-based list, with dashes of mystery, paranormal, and even academics among the fables and fairy tales. Got any bright bits of poetry or prose concerned with the lighter months of the year, approximately April through June? If so, you might like to consider sending them to this call for submissions for Beltane 2016 courtesy of Three Drops from a Cauldron. They note interest in: “Any myth, fairytale, or bit of folklore with a green, golden and growing feel – or even bright beauty with a dark side too: Persephone, Blodeuwedd.” Submit up to 6 poems, or three flash fiction pieces, or one prose poem (750 words or fewer), with a short third-person bio. Full guidelines are available at the link. Good luck! Due March 30. Enchanted Conversation: A Fairy Tale Magazine is also looking for your fantastic(al), folkloric, fabulistic fiction; this time, the theme is “rain,” and it must appear as more than just a singular word in the story. The guidelines are fierce, so your fiction should follow and buttress that. If you want to get a good idea of what they’re seeking, read their site (for instance, their soaring Valentine’s Day edition) and/or purchase or borrow their books from the library or a friend, such as Beyond the Glass Slipper (by EC’s own Dr. Kate Wolford) or Krampusnacht: Twelve Nights of Krampus, to name but a couple. Due March 31. For those academics among us, or those who still practice the art outside academe, the Writing Between the Lines Symposium invites proposal papers (abstracts) of 300 words or fewer on the intersection of the theory and the practice of creative writing. They note: “We invite papers which examine the lively dynamic between praxis and critical appraisal; explore the nature of creative writing as a research methodology; investigate its position within pedagogy and evaluate how it may be developed in order to elevate approaches to high quality research.” I first read about this call for 20-minute presentations on the Rhys Tranter blog. The proposals must be submitted electronically, and the symposium itself is in Cardiff, Wales, United Kingdom. As always, I’m wishing you a fulfilling week of writing/blogging, art-making, and living! Lion- or lamb-like, March 2014 has come and very nearly gone. Here in the States, many are swept up in a maelstrom of March machismo. Sadly, across the globe, others are ensnared in different kinds of life-and-limb madness altogether. Calliope/Kalliope, eldest of the Greek Muses, goddess of eloquence, and Muse of epic poetry. 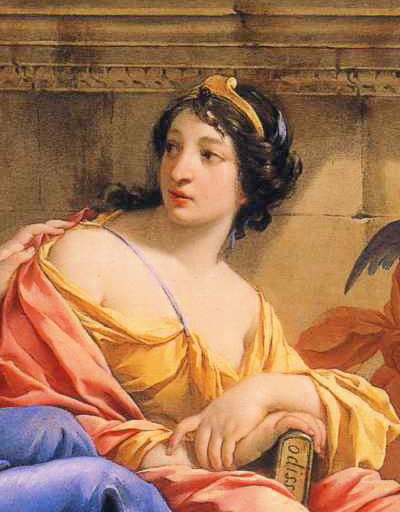 Detail from a representation of an oil-on-canvas piece by Simon Vouet, from Wikimedia Commons and in the public domain. But, to look at it more positively, if you are a writer or artist, perhaps this month has afforded you the time to self-reflect or make progress on a novel, short story, poem, or other work. In that vein, I would like to offer you a few potential markets to consider in your progression as a creative individual. I’ve decided that most of the markets I search out and share will be free, and I will endeavor to find international markets as well as North American ones—so that you may learn to navigate yourself through the submission processes at work at different magazines, publishers, or other forums, both fee-based and no-fee. I myself occasionally chose to submit to a contest or magazine that charges a reading fee, because I know that many literary magazines operate on a micro-shoestring budget and I want to support their work. Some markets these days also offer critiques or subscriptions when you pay a submission fee. So, it’s then up to you to read the instructions fully with regard to what copyrights you retain or give up with your submission, as well as the submission parameters—and hew to them or face the rejection pile. ENTRY FEE & NO ENTRY FEE: The moonShine Review: This North Carolina–based literary magazine accepts previously unpublished prose and photography, noting that “Our goal is to bring about understanding through art and writing by providing a venue for unique voices.” During a regular submission cycle, you can submit up to 4 shorter pieces, with nothing more than 3,000 words in length. Their preference is for 2,200 or fewer words. Payment is in one comp, or complimentary, copy of the magazine. They say they accept work from anywhere, but prefer southeastern (U.S.) writers. The upcoming reading deadline is Sept. 1, 2014 (postmark). See more general submission criteria on their site. Note that they are also holding a 10th anniversary writing contest with entirely different criteria, a $5 submission fee, and a July 1, 2014 deadline. As ever, I recommend you familiarize yourself with the market, agent, or magazine prior to submitting. ENTRY FEE & NO ENTRY FEE: Situated along the Mississippi River in St. Louis, Missouri, River Styx magazine has been navigating literary waters since 1975. They have (or have had) microfiction, poetry, and prose contests afoot, as well as regular submissions (including visual art, which has different criteria & submission period) during a reading period from May 1 through November 30 (postmark) every year, so sharpen those pencils, brains, or calloused computer fingers, friends! Right now, they have several contests in swing, including an international poetry competition ($1500 top prize; $10 or $20 entry fee) and a poetry competition for high school students, called the River Styx 2014 Founder’s Award. Check the previous link for submission deadlines and details. ENTRY FEE REQUIRED: A special thanks goes out to writer-friend Ali Abbas, who has some outstanding prose of his own, in that I have received another suggestion: NYC Midnight. NYCM has a series of challenges throughout the year; right now, their screenwriting competition is about to kick off. For a $39 entry fee, you will be given an assignment then have 8 days to craft “an original short screenplay no longer than 12 pages” FOR ROUND ONE. If selected, your manuscript will advance through rounds, where the criteria will differ. The final deadline (along with entry fee) is May 1. NO ENTRY FEE: Finally, the editorial staff of The Louisville (Kentucky) Review read manuscripts year-’round. I really like TLR‘s mission statement: “The goal of the magazine continues to be to import the best writing to local readers, to juxtapose the work of established writers with new writers, and to export the best local writers to a national readership.” They review previously unpublished manuscripts of poetry, fiction, creative nonfiction, and drama only. TLR prefers electronic submissions. Poetry from students in grades K-12 is also considered for The Children’s Corner. Their reply time is 4 to 6 months, and they consider simsubs (or simultaneous submissions), but be sure to touch base with them if you have any questions about their process. If you know of others you would recommend, please consider leaving a comment. As always, best wishes on your writing and artifying. Keep at it! This writer didn’t always kill his darlings, but there is a humorous fiction-writing contest in his honor, called the Bulwer-Lytton Fiction Contest. Sometimes the first step in becoming a published writer can seem like deliberately jumping into quicksand; when you hang your darlings out there in the world, others can (and often will) step forward and disembowel them. Similes as familiar as siblings, favorite phrases, precious passages, cherished chapters . . . all could fall under the editor’s, agent’s, reviewer’s, or reader’s guillotine. Does that mean you never submit your work? For some, yes. And yet, others seek out the challenge. If you are the latter (or the former), this post is for you. Today I’d like to begin a weekly feature I’ll call Submission Sunday. Each weekend, I will share some markets or contests (or both) that you might like to consider if you’re a writer. I hope to bring you at least a couple every Sunday (North American time zones) in further hopes that you will consider putting your work out there for critique or, if no feedback is given, for the experience of having gone through the machinations of submitting to an editor, publisher, or agent. Best-case scenarios apply, too, of course, so hitch your writing wagon to a star: write furiously, edit mercilessly, and aim to win, place, or show. Although I cannot personally vouch for these sites, contests, publishers, or markets, in some cases I have submitted to them—or intend to do so again—and I’ll indicate this where called-for. If you have any suggestions at all, please consider leaving them in the comments. For this, I thank you in advance. So, without further finger-dragging, here are some online and print markets. The Bulwer-Lytton Fiction Contest: This yearly humor-writing contest, where “wretched writers” are welcome, suggests that even an inkless pen is mightier than the sword. 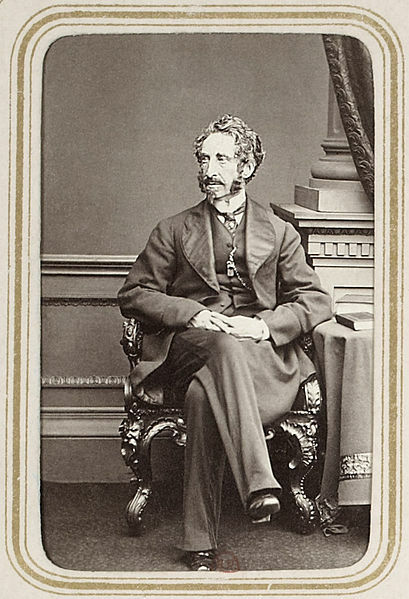 It highlights the work of nineteenth-century British novelist, poet, and politician Edward George Bulwer-Lytton, whose work you likely know, even if only through Snoopy, of Peanuts cartoon fame. Submit one horrifically bad sentence—there are several genre categories in this contest, such as science-fiction, crime, fantasy, and romance—and keep it under about 60 words. In general, don’t use puns in your submission (though they do have a “vile puns” category). Have fun writing the worst opening line to a novel that you can think of and you never know what might happen. I’ve submitted to this contest in the past, placed in one category, and plan to submit again. On the basis of the 2013 winners, it looks like they accept international submissions, all written in English. Deadline, June 30, but submissions are accepted every day of the year. Another humor-based writing contest, this time for the versifiers among us, is the yearly Wergle Flomp Humor Poetry Contest. Held by Winning Writers, which also has a handy free database of more than 200 “quality poetry and prose contests with no entry fees” (you need only sign up for their e-newsletter, also free), the Wergle Flomp is a big ball of fluffy literary fun. It boasted thousands of entries in 2013, and 2014 marks its thirteenth year. If you win or place, this free contest actually has prize money. I’ve written several poems, mostly parodies, for this contest; several I’ve gone ahead and submitted, and several I haven’t. Either way, I always learn a lot about writing humor and poetry, self-critique, and the musicality of language, even when language fails. Poems can be of any length and should be humorous; one submission per person, per year. Deadline April 1. The final market I will share today is called The First Line. TFL is a magazine offering print and electronic editions. In addition to “critical essays about your favorite first line from a literary work,” they also offer a fiction component. Each season, they offer a prompt wherein you must begin a short story with the first line they provide, verbatim. They write, “the story should be between 300 and 5,000 words (this is more like a guideline and not a hard-and-fast rule . . .) . . . The sentences can be found on the home page of The First Line’s Web site, as well as in the prior issue. Note: We are open to all genres.” The upcoming deadline for the summer prompt is May 1, 2014. Now, get writing—and good luck!